From protein and omega 3s, to immune-boosting properties; here are just a few ways that hemp could help your overall health. Hemp—a cultivar of the Cannibis plant—has been around a long time. Its history dates back more than 12,000 years to China. With 6 grams of protein per tablespoon, hemp seeds are richer in protein than beef or fish. Add some hemp seeds to cereal, oatmeal, or yogurt to pack a crunchy, protein punch to your meal. Whether you choose it as an oil or milk, several studies have shown that hemp naturally boosts the immune system. 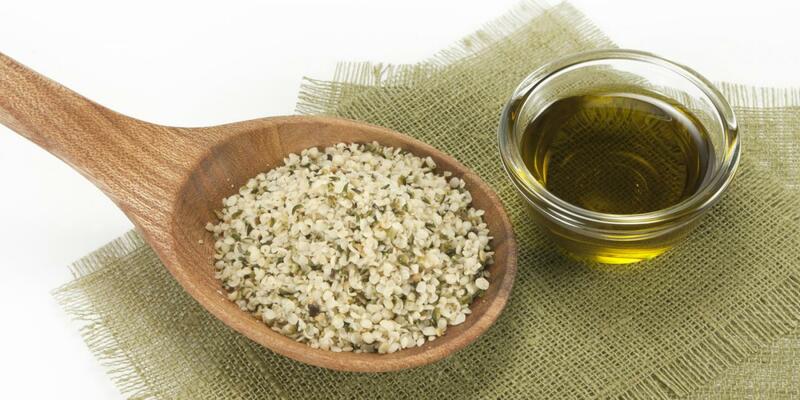 Hemp oil is naturally rich in heart-healthy omega-3, with as much as 2.5 grams in a tablespoon. That compares with just 1.3 to 2.3 grams of omega-3 in salmon. And, because it’s not harvested from our often mercury-poisoned waters, these omega-3s are mercury free. Hemp oil is also rich in omega-6 and omega-9. These fatty acids aid in heart health and lowering cholesterol. Because the oil in hemp is very similar to that in our bodies, it’s able to more easily and deeply penetrate our hair, skin, and nail fibers. People who take hemp oil routinely comment on their thicker, shinier hair, softer skin, and stronger nails. As the stigma associated with hemp in the US subsides, health-conscious consumers will find lots of reasons to love this high-protein, heart-healthy, healing superfood.